Nicholas Edensor has been a head teacher for 10 years. He is currently on his second headship at Beeston Primary School. 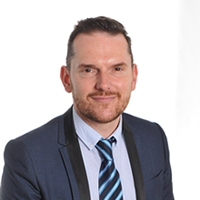 He specialises in effective strategic leadership and management and in improving teaching and learning across schools. Nicholas has been a LLE for 5 years and has supported various schools across Leeds in developing key aspects of school improvement. Beeston Primary School is a large inner-city three-form primary school with approximately 700 pupils. The school prides itself on the high standard of teaching and pastoral care. On entry data for the school is below average but due to the good progress made across all key stages, pupils’ attainment, at the end of Key Stage 2 is broadly average. The school is situated in an area of high deprivation. Pupil mobility is increasing and there is a high percentage of disadvantaged pupils. EAL pupil numbers are growing due to many new arrivals to the country settling in the Beeston area of Leeds. 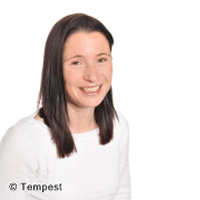 Beth Tidey has been Deputy Headteacher at Beeston Primary School for 9 years and worked within Leeds for 18 years in different leadership roles in a range of schools. She has supported schools to raise standards through a role as a Leading Teacher and then as an Associate School Improvement Consultant, specialising in Literacy, Teaching and Learning, Assessment and Leadership. Beth has supported the Leeds’ Assessment Team and is now a Lead Moderator, responsible for the recruitment and training of KS2 Writing Moderators. Beth is an experienced coach and mentor and is passionate about identifying and developing leaders and improving the performance of staff. She has an expertise in improving teaching, leadership, curriculum development and developing effective learning behaviours, in particular the importance of having a Growth Mindset. Rebecca White has been a Deputy Headteacher at Beeston Primary School for three years. Beeston Primary School is a large inner-city three form entry school in Leeds. The population of the school is changing and the percentage of EAL and disadvantaged pupils is increasing, as is the mobility in school. Despite the low level on entry data of pupils in Foundation Stage, pupils’ attainment at the end of Key Stage 2 is broadly average. 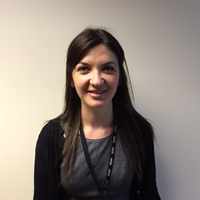 Before moving to Beeston Primary School Rebecca worked in Wakefield as a SENCo and senior leader. Rebecca has a Masters in SEN and has a keen interest in the social and emotional aspects of learning, focusing on the development of mental health and wellbeing. She has focused on developing the characteristics of learning to improve the learning behaviours of pupils. Rebecca specialises in assessment, focusing on closing the gap for vulnerable groups and developing leadership strategies to improve the performance of staff, using effective coaching and mentoring strategies. Dr Mujahid Ali is an experienced school leader. Bracken Edge was inspected in February 2018 with its overall effectiveness being judged as ‘good’. 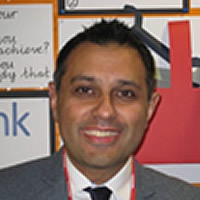 Mujahid has a sound understanding of school improvement, he is a serving Ofsted inspector and has inspected since 2007. In addition to his inspection experience, Mujahid also works with a teaching school in a neighbouring authority as a Standards and Effectiveness Partner where he supports and challenges schools to further raise pupil outcomes, improve teaching and learning and strengthen leadership. He has also worked as a system leader and consultant head supporting schools causing concern. Prior to headship, Mujahid worked as a School Improvement Adviser for four years with Wakefield Local Authority where he supported school improvement of a number of schools. Mujahid has worked in a number of schools as a headteacher. His previous headships include leading a three form inner city primary school in Kirklees, a two and a half form inner city school in Oldham and a school in category in Pontefract. Mujahid successful headship was recognised by the Times Education when he was shortlisted for the ‘headteacher of the year’ award in 2014. Mujahid’s particular leadership strengths include creating a clear and stimulating vision, building the school’s sense of pride, developing leadership teams to deliver improvement, creating data analysis systems, strengthening teaching and learning, effective monitoring and self-evaluation and engaging and communicating with parents and carers. Mark has worked in primary school education for 12 years and as a senior leader for 7 of these. In his most recent substantive post, he served as the Deputy Head at St Mary's in Halifax for 3 years before ill health forced him to take an extended period of leave. 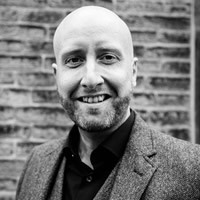 Since returning to work as an independent trainer and analyst in 2016, he has worked with more than 20 Leeds schools and St Anthony's Teaching School to deliver leadership development and governor training. Alongside this focused CPD, Mark has supported the Headteacher and Governors at a Thorpe School for 2 years, including a successful Ofsted Inspection in July 2017. He's also delivered conferences on performance data and tracking to school leaders and helps schools to develop their data and analysis systems. Mark has a background as a maths advanced skills teacher and still regularly works with teachers to develop maths pedagogy in classrooms and across whole schools, using a range of techniques to establish what is missing from provision and how these gaps can be filled through CPD and resourcing. As a performance data analyst, his focus is always on finding the simplest, most effective methods of using data which meets the needs of the school in order to improve outcomes for children; data should work alongside classroom practice, not take precedence over it. 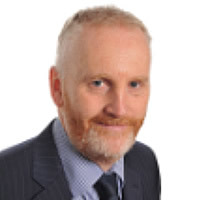 He has experience of 5 full Ofsted inspections and has supported numerous other schools in preparing for inspection, especially through coaching leadership teams to plan for challenging conversations and demonstrate effective self-evaluation; a skill which many find daunting but one that can most certainly be practiced and developed. Mark is a qualified coach, trainer and facilitator and loves the challenge of helping school leaders to identify the actions needed to improve their schools quickly and for the long term. •	Meeting the needs of new arrivals who are brand new to English. I started my teaching career over 26 years ago in the very centre of Manchester. My first Year 2 class made a great impression on me and I can still remember many of the children I worked with. I was always excited by creating sequences of learning that engaged children. I had no idea or aspiration to become a leader, but other people saw some potential and 8 years later I was appointed as the headteacher. Prior to my arrival in West Yorkshire, I was employed at Excellence in Cities Manchester (2005—2008). I devised and lead ‘Higher Futures 4 U’, a programme for raising aspirations (including pathways to University and employment sectors), in areas of high deprivation.